The IS promotes eco-friendly driving with an indicator that lights up when the accelerator is used in an eco-friendly manner. Unique multi-spoke 18-inch alloy wheels express the innovative spirit of the sporty IS 300h Limited. On the IS 300h, the iconic Lexus emblem takes on a Hybrid identity by displaying a subtle blue tint. Select performance to match your driving style with four drive modes: NORMAL, ECO, EV and SPORT. 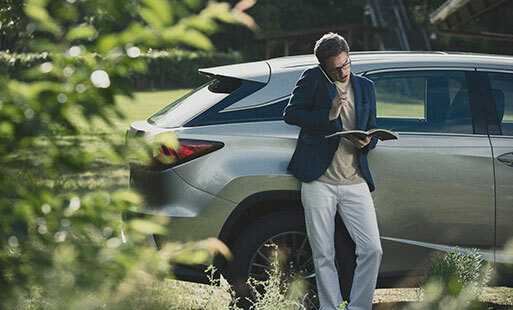 Lexus Hybrid Drive enables Lexus hybrids to draw power from both electric and petrol motors, resulting in instant torque and surprising acceleration. Be the first to get the latest updates and promotions on the IS 300h.